After hearing a lot about Taim falafel, which many say is the best in the city, I was excited to read that their mobile truck would finally be landing near my Midtown West office. 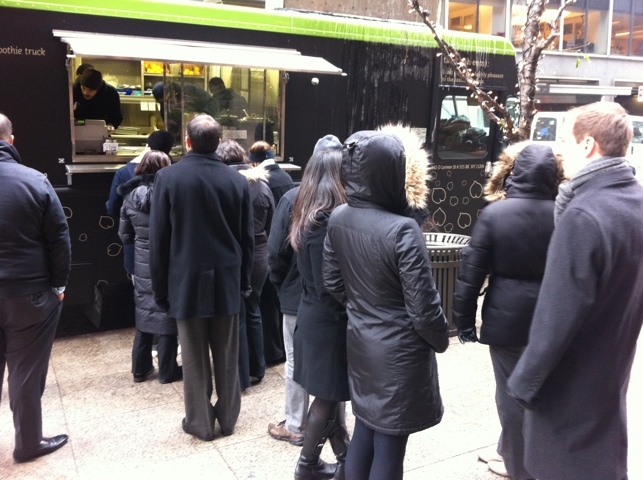 Of course, the reliable folks at MidtownLunch giving it a rave didn’t hurt either. I knew I had to try it. The line was significant without being horrendous – it took me about 15 minutes to place and receive my order. 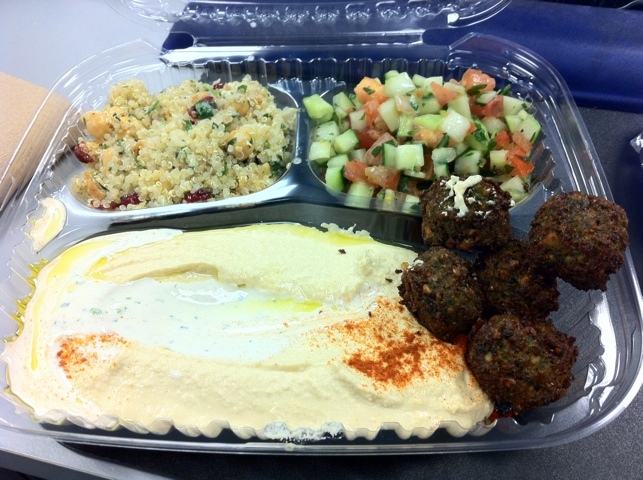 I ordered the $9.50 falafel platter, and am really glad I did. A good amount of food, I'd say. The platter contained quite a bit of food. 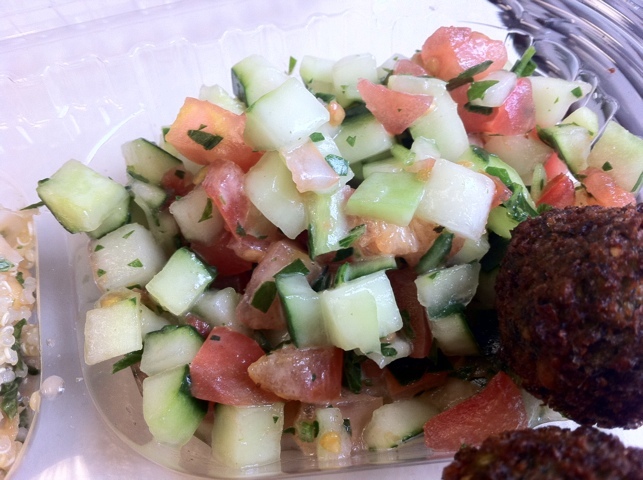 On the right, you can see the Israeli salad (cucumber, tomato, parsley with a lemon/mint dressing). 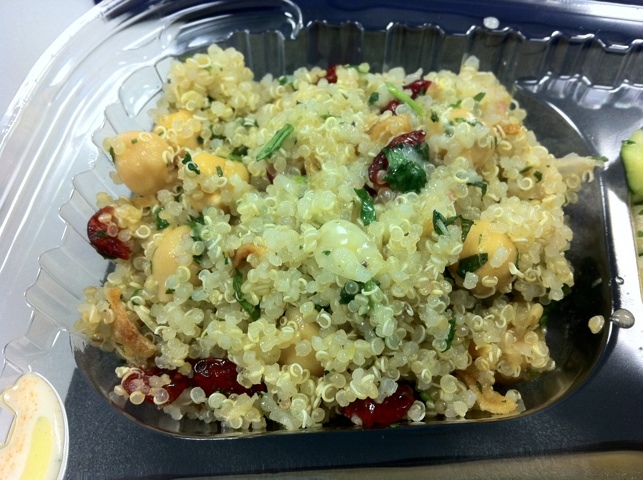 On the left, the Quinoa salad (dried cranberries, chick peas, preserved lemon and herbal seasoning). Up front you’ll notice the delicious spread of hummus, and of course the small falafels. Small, but rich and delicious. 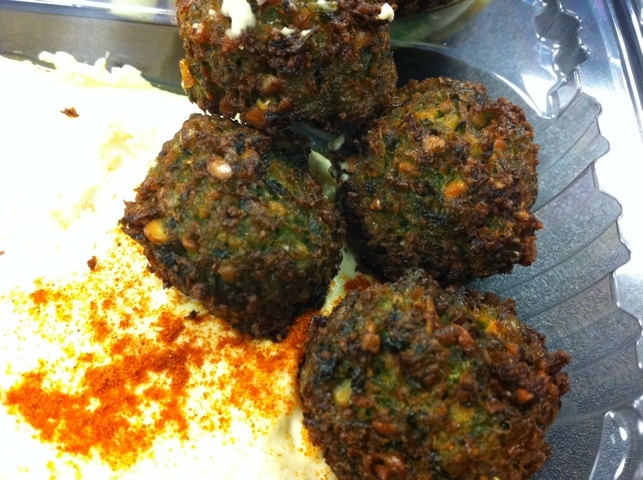 I was a bit miffled by the small size of the falafel. I needn’t have been. They are choice. Despite their small size, they are very rich and crunchy, packed with flavor. The Israeli salad was very fresh, and a useful palette cleanser between bites of hummus and falafel. 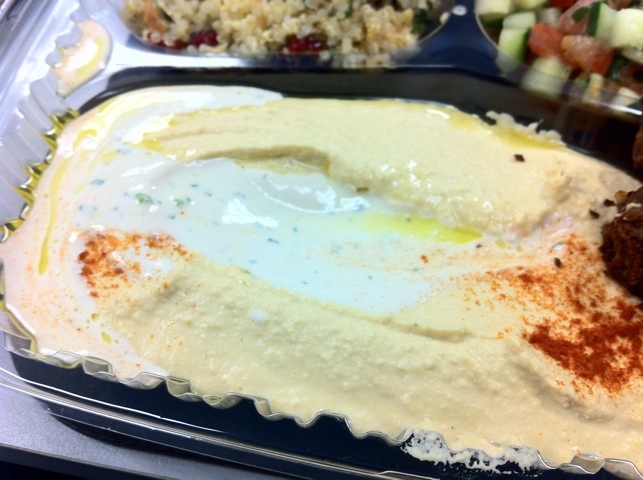 The hummus itself was rich and creamy, with just the right amount of smoothness. I don't know much about Quinoa, but this was tasty. The Quinoa salad was delightful. The bits of cranberry added a sweet to the flavor, and the chickpeas were also tasty. I'm sorry that you can't smell this. Heaven-scent. While bread and I generally haven’t been getting along too well lately (the devil white flour and all that), the smell of this pita was heavenly. 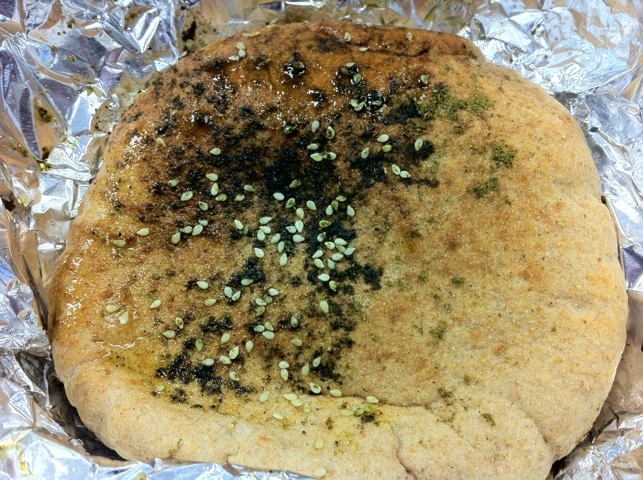 The pita was warm, fluffly and seasoned with a brushing of oil and herbs. It was pretty decadent. All in all it was a delicious meal. I am eager to have it again.